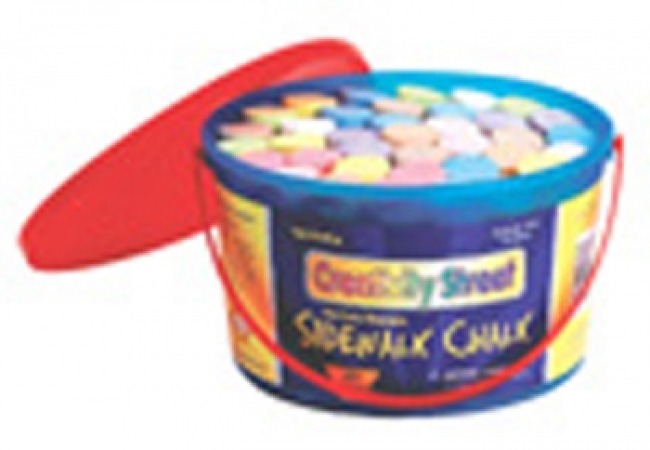 Create BIG outdoor art with the ONLY sidewalk chalk in bright, bold Crayola crayon colors! 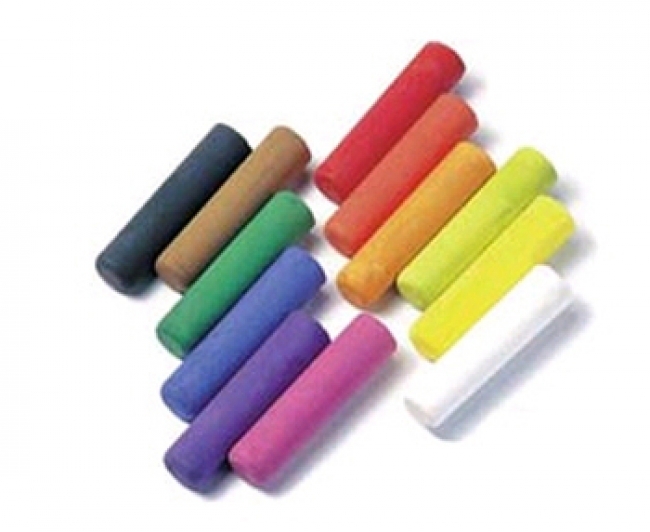 The Anti-Roll shape keeps sticks handy without rolling away and produces fine lines or broad strokes that simply wash away with water. 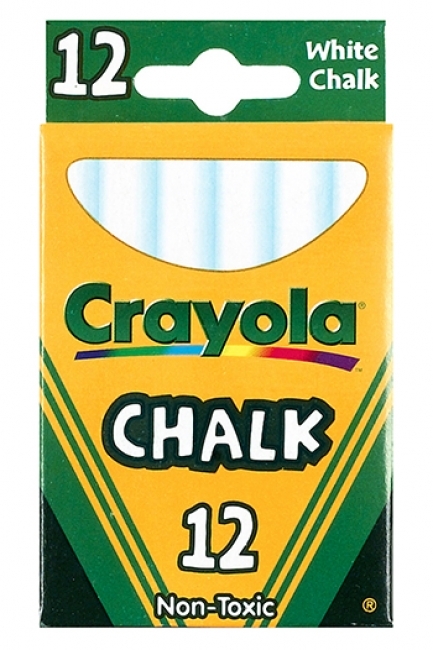 Includes 12 Sidewalk Chalk sticks in exclusive Crayola crayon colors. 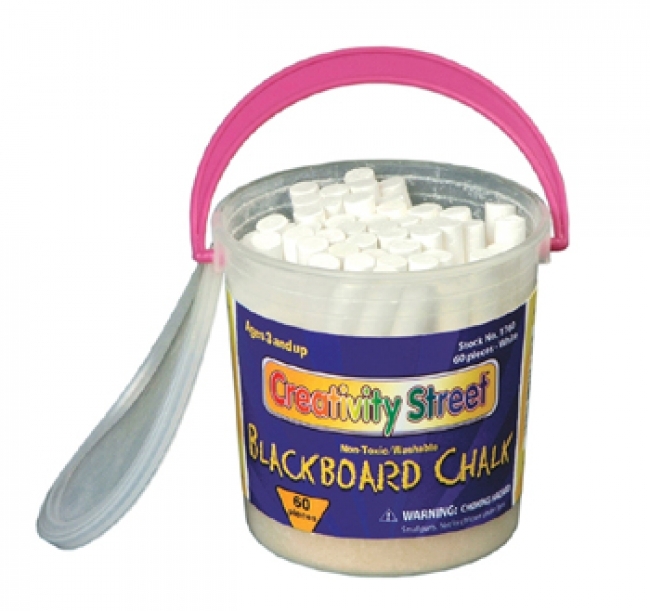 Each box contains 60 pieces of non-toxic, washable white blackboard chalk. 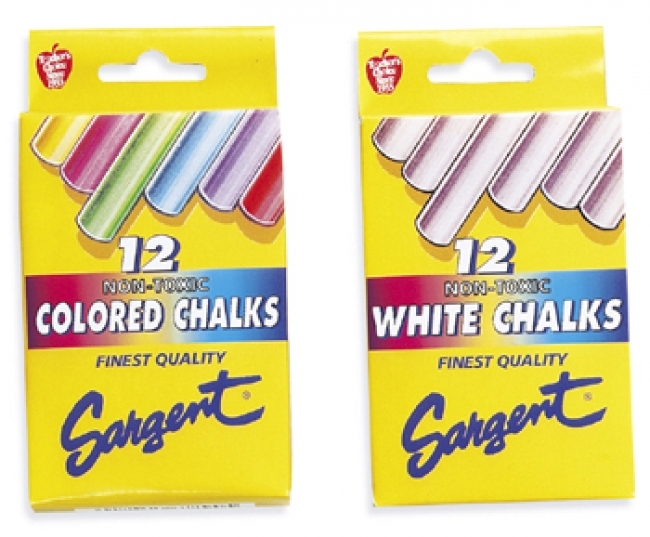 Great for use on children's chalkboard easels. 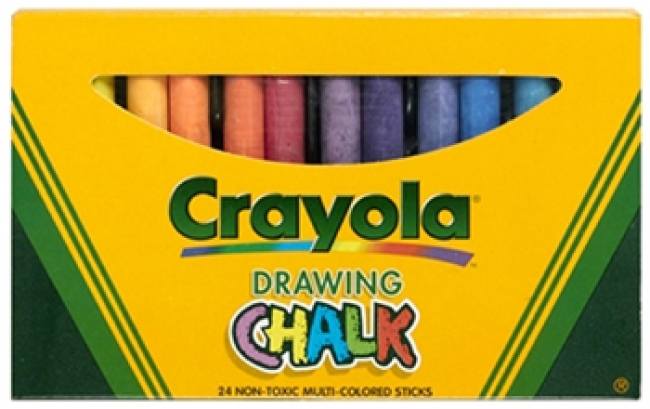 Each box contains 60 pieces of non-toxic, washable assorted blackboard chalk. 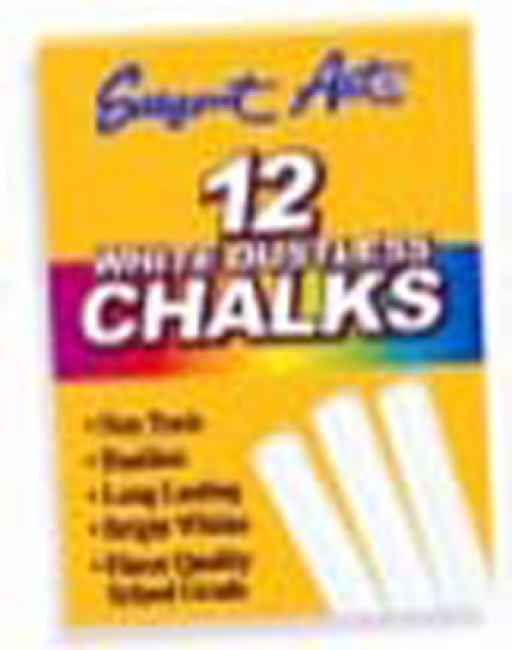 Great for use on children's chalkboard easels. 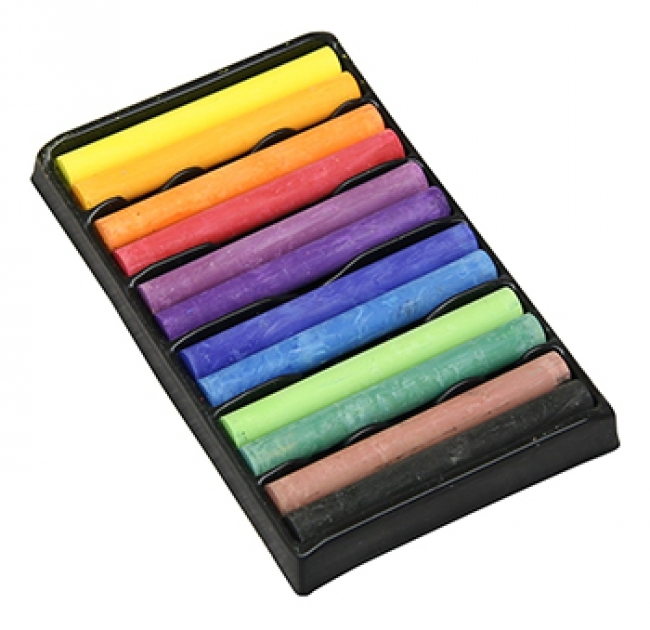 - Made of the finest non-toxic materials. - Peggable top tuck box. 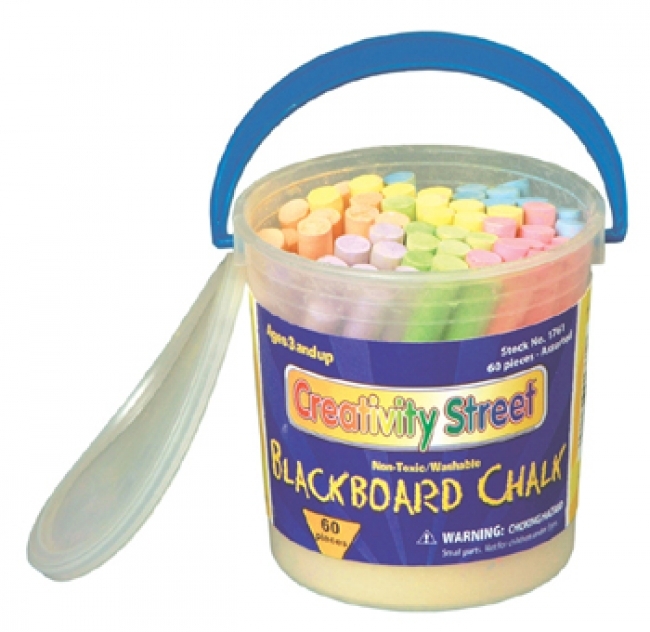 - Excellent coverage on blackboards & chalkboards. 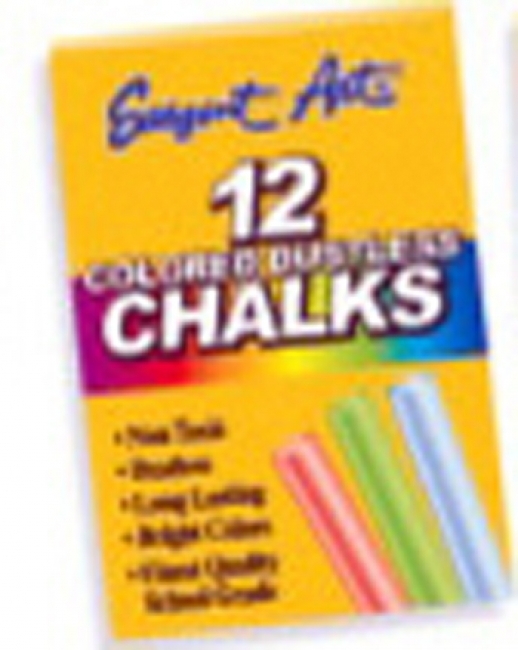 - Twelve 3.25"x .375" dustless chalk sticks. 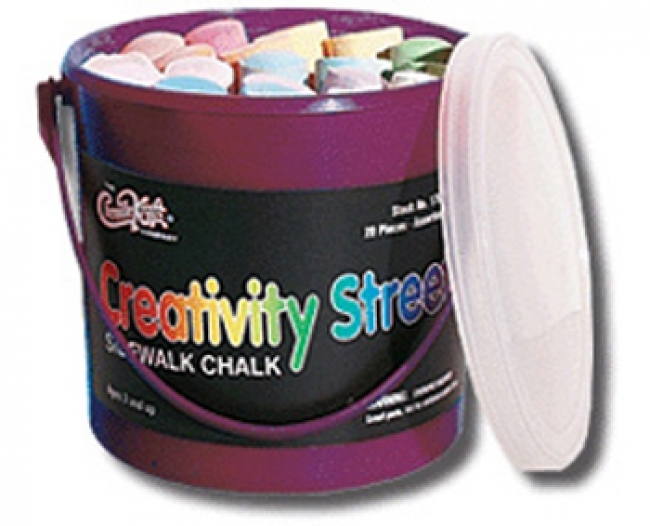 - Made for the quality non-toxic AP certified materials. - Perfect for classrooms, home or office. - Convenient peggable top tuck boxes.